Diabetes Care Devices Market such as insulin or diabetic pump, glucose monitoring device is expected to reach $ 2.3 Billion by 2020 and is poised to grow at a CAGR of 6.3% during forecast period of 2015 to 2020 in Brazil, Russia, India and China. Diabetes Care Devices Market such as insulin or diabetic pump, glucose monitoring device is expected to reach USD 2.3 Billion by 2020 and is poised to grow at a CAGR of 6.3% during the forecast period of 2015 to 2020 in Brazil, Russia, India and China (BRIC) Region. The BRIC diabetes care devices market has witnessed major growth in the past few years, and is largely driven by the increasing number of diabetic patients across BRIC countries, growing research on diabetes, and increasing international research collaborations. The rising obese population and rapid industrialization and urbanization have also contributed to the growth of this market. 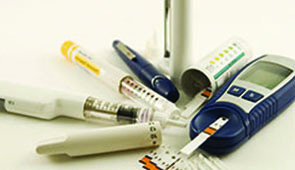 The statistics are evaluated by the report “Diabetes Care Devices Market In Brazil, Russia, India & China (BRIC) by Product (Self-Monitoring Blood Glucose Meters, Continuous Glucose Monitors, Testing Strips, Lancets, Insulin Pumps, Insulin Pens, Insulin Syringes) - Forecast to 2020”, analyzes and studies major market drivers, restraints, and opportunities in BRIC countries.